Hiking becomes difficult in winter when the trails are covered with snow and ice. To hike on icy and snowy trails safely, you will need winter hiking gear – of which the two most important items are crampons and an ice axe. While crampons provide you with traction, an ice axe helps you to arrest your fall in case that you slip on icy terrain. Here we selected and reviewed the best ice axes for hiking, glacier travelling and general mountaineering. 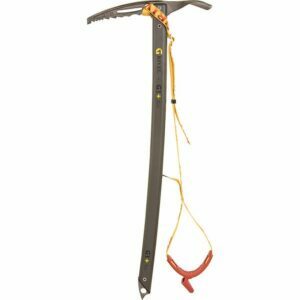 The ice axes in this review can also be used for ascending relatively steep slopes in a manner similar to climbing ice axes, e.g. by hooking the ice axe into the slope in front of you but are primarily shaped for arresting a fall and cutting steps in the snow. As they have quite long and straight shafts (unlike climbing ice axes which typically have more convex shafts), they can also be used for better balance – like trekking poles. Every ice axe has two functional elements; the shaft and the head – which consists of a pick and a rear facing adze. 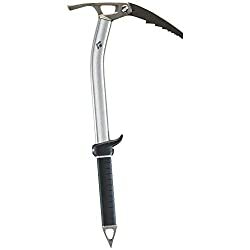 When hiking on less steep terrain or walking along the foot of a slope, the ice axe is held at the head and the shaft is used as a hiking pole. Should you fall or slip holding the ice axe like this, it is very easy to simply lean in the direction of the ice axe and the ice axe will quickly hook into the ground and decelerate your fall. On very steep terrain an ice axe is usually held at the shaft; you then either use the pick to ascend the slope like with a climbing ice axe or you use the flatter adze to cut steps in the snow – almost like a mini shovel. 1. Buying an Ice Axe for Hiking and General Mountaineering – What is important? The shaft of ice axes is made of steel, aluminum or carbon fibers. Steel and aluminum shafts are stronger than shafts made of carbon fibers. However, ice axes with carbon fiber shafts are lighter. Carbon fibers are usually used for climbing ice axes while steel and aluminum are used for hiking/mountaineering ice axes. The head of an ice axe is always made of steel for better durability. Ice axes for hiking and general mountaineering are longer than ice axes for climbing so that they can offer you support while walking on icy trails (like hiking poles). They usually come in more than one length and you should choose the length according to your height. If you are shorter than 5.5 ft. you need an ice axe that is not longer than 24 in. and if you are taller than 6 ft. you need an ice axe that is not shorter than 27 in. 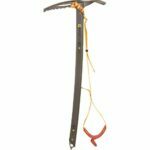 Light ice axes are best for glacier travelling, hiking and general mountaineering while heavier ice axes are useful for ice climbing and technical mountaineering. Heavier ice axes allow you to easily hook the pick into ice and snow while climbing steep slopes. In this selection of the best ice axes, we only listed lightweight ice axes. Learn more about different types of ice axes in this article from EMS. Length 22, 24, 26, 28, 30, 32, 34, 36 in. 20, 23, 26 in. 20, 22, 25 in. 23, 26, 29 in. 20, 24, 28 in. 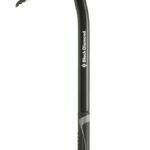 The Black Diamond Raven is one of the most popular ice axes among hikers and mountaineers as it provides superb performance for a low price. It is equipped with a durable straight aluminum shaft and stainless-steel head. The head features a well-designed pick, adze and a hole for a carabiner. The pick is primarily designed for self-arrest. The adze easily penetrates snow and can thus be used for cutting steps. Furthermore, the adze is also very comfortable to hold. The Black Diamond Raven is a great ice axe for hikers and mountaineers but keep in mind that it is not designed for climbing steep slopes. Its pick is relatively wide and has a big clearance angle which reduces the functionality on very steep terrain. 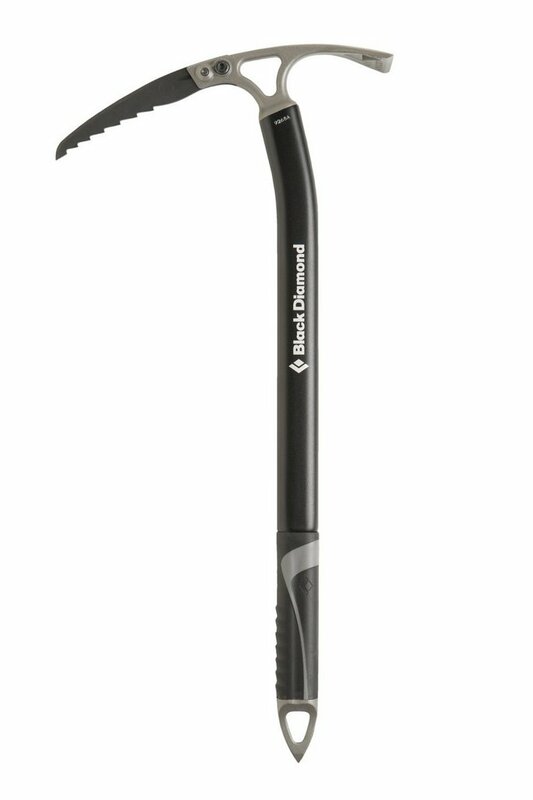 The Black Diamond Raven ice axe is available in 8 different lengths. 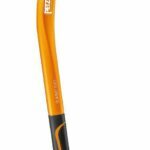 The Petzl Summit Evo ice axe is primarily designed for technical mountaineering but is also very useful for hiking and glacier travelling. It is equipped with a curved aluminum shaft and a stainless-steel head. The shaft features a rubber grip in the lower part, a hydroformed handle at the curve and has a spike at the bottom for penetrating ice and snow when the ice axe is held at the head. The head, equipped with a pick and adze made of steel, is quite heavy and thus very useful for steep terrain. The pick is narrow at the tip and gets wider at the shaft. Therefore, it is great for climbing steep slopes as well as for self-arrest. 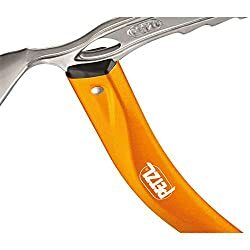 All in all, the Petzl Summit Evo is a great ice axe for hikers as well as for more experienced mountaineers who need a top-quality tool for their climbs. The only downside is its relatively high price. 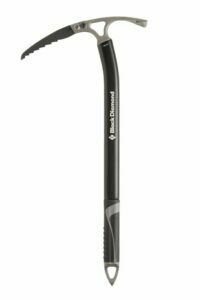 The Black Diamond Venom is a hybrid ice axe which is suitable for both technical mountaineering and general mountaineering. 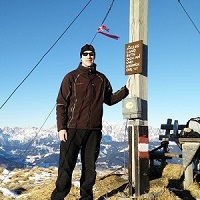 It can also be used for hiking, glacier travelling and other activities on icy trails and slopes. 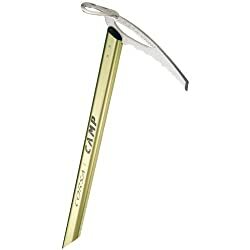 The shaft of the ice axe is made of aluminum while the head is made of steel. 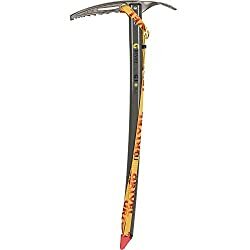 The head of the Venom ice axe is a little heavier than the heads of more hiking-oriented ice axes and therefore it provides better functionality on steep slopes when the ice axe is held at the shaft and used for hooking into snow and ice. Furthermore, the pick has a more aggressive clearance angle which significantly increases the functionality on steep terrain. The Venom ice axe is also equipped with a comfortable dual density molded grip and lockdown leash. It comes in two different versions – tech and classic. The tech version is best for climbing steep slopes as it is equipped with a technical pick and a hammer instead of an adze while the classic is equipped with a normal pick and adze and therefore it is best for general mountaineering, hiking and glacier travelling. All in all, the Black Diamond Venom is a great ice axe for different activities in icy conditions. It might be a bit pricy if you are buying an ice axe solely for hiking and general mountaineering but it’s a great tool, nevertheless. 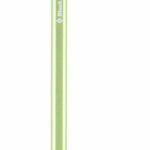 The Grivel G1 Plus is a classic general mountaineering ice axe. It is equipped with an aluminum head and a quite straight chromoly steel shaft. The head of the ice axe is ergonomically shaped and thus fits well in your hand. Additionally, the ice axe has a rubber grip on the shaft for better fit when you are hooking it into snow and ice. However, keep in mind that the Grivel G1 Plus is primarily designed for self-arrest and not for climbing steep slopes. Its pick is relatively wide and non-aggressive which reduces its functionality on steep terrain. The ice axe is also equipped with a durable adze and a spike at the bottom. All in all, the Grivel G1 Plus is a great ice axe for hikers and mountaineers who plan to wander on icy trails and glaciers. 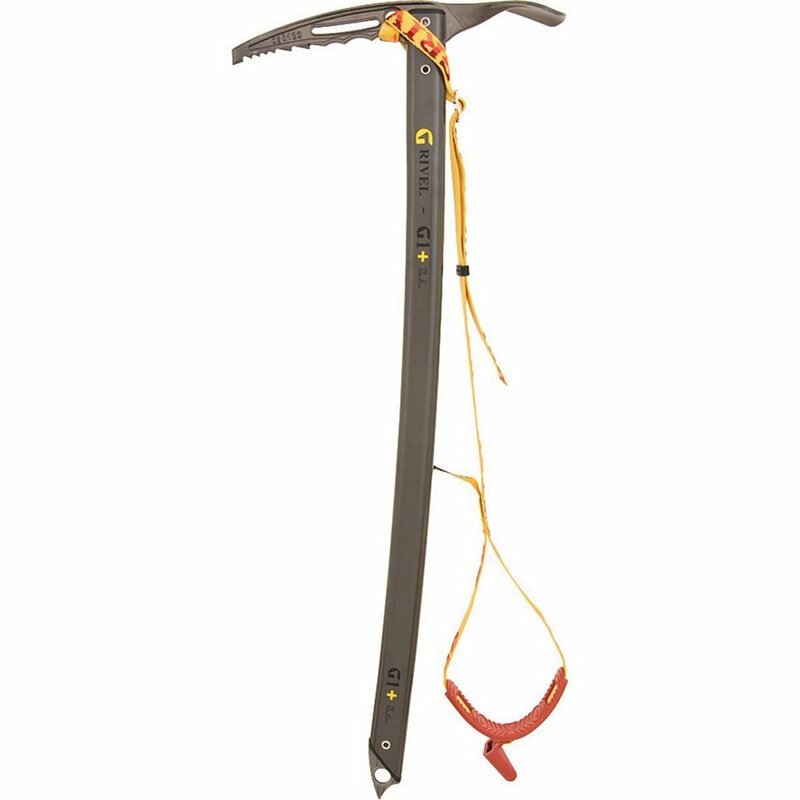 The CAMP Corsa is a super lightweight ice axe – it weighs merely 7 ounces. It features an aluminum shaft and an aluminum head. The shaft is (optionally) equipped with a sliding leash which allows you to secure the ice axe to your wrist or climbing harness. At the bottom of the shaft there is also a spike for penetrating ice and snow while holding the ice axe at the head. The head is equipped with a relatively wide pick and an adze made of aluminum. The pick has a big clearance angle and therefore it is not suitable for very steep terrain. What are ice axes used for? Ice axes are used for arresting falls on icy terrain and ice climbing. The ice axe’s adze can also be used for cutting steps into the snow. 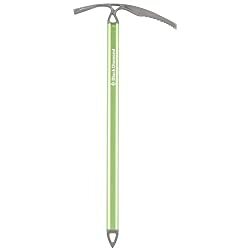 What size of ice axe do I need? To figure out what length of an ice axe you need, you should stand up straight and hold the ice axe by its head. The spike at the bottom of the shaft should fall between the bottom half of your calf and the top of your ankle. If the spike falls below your ankle, the ice axe is too long for you. Note that this method does not apply to climbing ice axes but only to ice axes for general mountaineering and glacier travelling.